Though it differs throughout tribes, there are many similarities in Native American Medicine. The primary function of most medicine men is to secure the help of the spirits. Sometimes this help may be sought to heal illness, psyche, or to promote harmony between people or nature. Medicine men are not necessarily doctors or herbalists in the way many think. They provide more of a bridge between spiritual worlds and the human world. 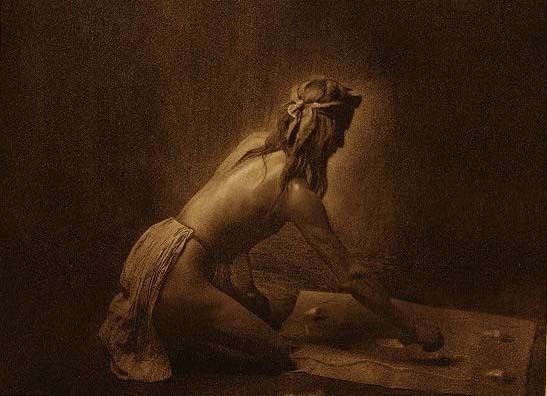 According to Edward S. Curtis in Volume IV, Many of the medicine-men have some knowledge of the medicinal properties of plants and generally make use of them in the treatment of disease, but their treatment consists more of incantation that anything else. Even in collecting plants they will evoke deities. In apache tribes, every medicine man has a medicine skin inscribed with the symbolism of tribal mythology pictured above in, “Apache Medicine Man” According to Edward S. Curtis, in his own Kowa, or dwelling, with the painted skin spread before him a medicine man will sit and croon songs and pray all day and all night in hope of hearing the voices of celestial messengers. Mandan and Hidatsa tribes had similar medicinal practices. Like many tribes, medicine-power was obtained either in visions produced by fasting or through purchase. The more medicine a man could obtain the greater his spiritual power was supposed to be. Each particular medicine was accompanied with certain songs pertaining to it, and in purchasing the medicine the songs became the property of the new owner jointly with their original possessor. Anyone seeking aid of medicine man would first fill a pipe, take it reverently to his lodge, and lay it on the ground in front of the scaffold. The healer’s acceptance of the case was indicated by smoking the pipe. One of such men was Nesjaja Matali a well-known medicine man pictured above. 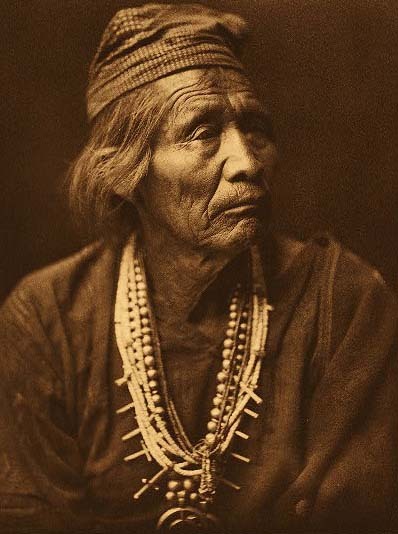 The Description by Edward S. Curtis is as follows: While in the Cañon de Chelly the writer witnessed a very interesting four days’ ceremony given by the Wind Doctor. Nesjaja Hatali was also assistant medicine-man in two nine days’ ceremonies studied – one in Cañon del Muerto and the other in this portfolio (No. 39) is reproduced from one made and used by this priest-doctor in the Mountain Chant. 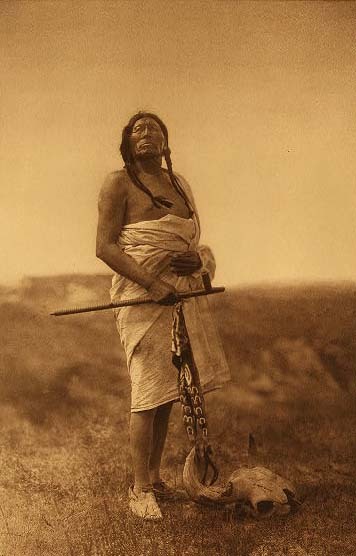 Slow Bull, of the Ogalala pictured below is another well-known medicine man that Curtis described in his volumes. These men were respected member of their tribes and often become chiefs. The traditional method of healing by the Native Americans is still respected today in the modern world.